Jamie said to me after practice her feet were burning and really acing, is there anything we can do to relieve the burning and acing pain? Thanks for writing. 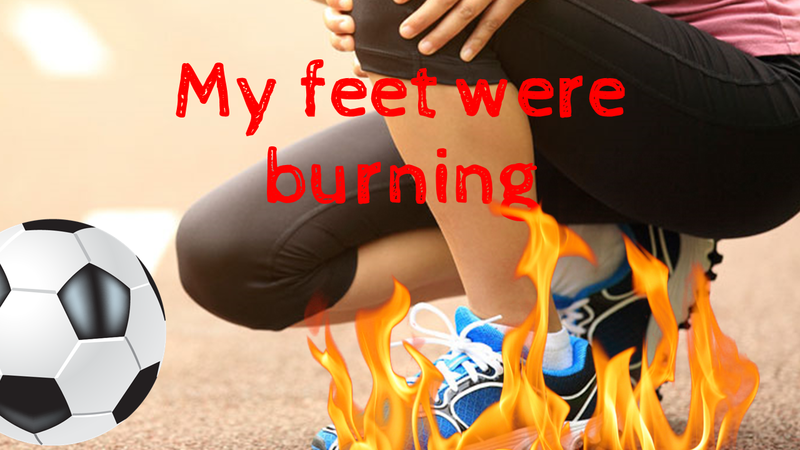 Burning and aching pain is most commonly caused by the foot being out of alignment, and that leads to an overuse type of pain. Rest, ice packs, and sometimes ibuprofen after practice will help. However, having your feet evaluated to determine if a structural problem is contributing to your pain is recommended. In many cases, treatment will dramatically improve athletic performance, as having the feet properly aligned allows the muscles to function optimally. Good luck."